It’s finally December, and oh my goodness… is Christmas in full swing or what. I realize more and more that my Christmas list is composed of children 8 years and below. Not only that, because I have kids of my own, the toy stores are a frequent pit stop. Even if we don’t buy, they just have to look and play and ask (well, okay — they attempt). And let’s face it, while toys aren’t actually a necessity and a lot of creative imaginative play can come from regular items at home, some of them are cute, fun and educational too. Over the last year, the girls have taken to Lalaloopsy. I blame OCMominManila: she introduced Sam to her first Lalaloopsy Tree House one birthday ages ago. Since then both of us have been addicts and fans of the brand and have gifted it to our girls (and to each other at one point I think!). Kris knows all the new Lalaloopsy toys out there. My girls and I have collected quite a few. Amazingly enough, we haven’t had a duplicate just yet! 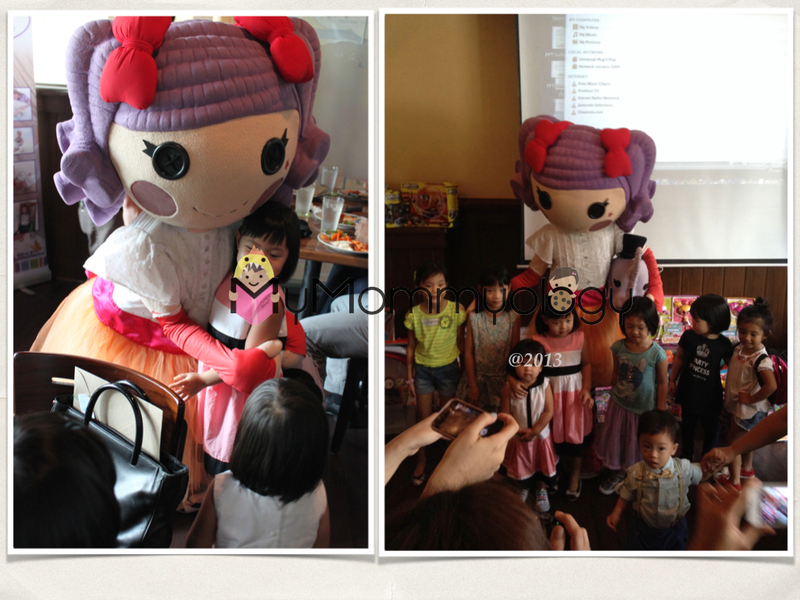 You can imagine our (our = kids AND parents) delight when Patty of Non-stop Babble arranged a lunch with the distributors of Lalaloopsy, Bankee Trading Inc. Jenny Fernandez, the Ad & Promo Manager of Bankee Trading welcomed us all there and told us about the world of Bankee toys. Established in 1986, Bankee carries over 60 different brands of baby and children’s toys and products that are distributed all over the Philippines. 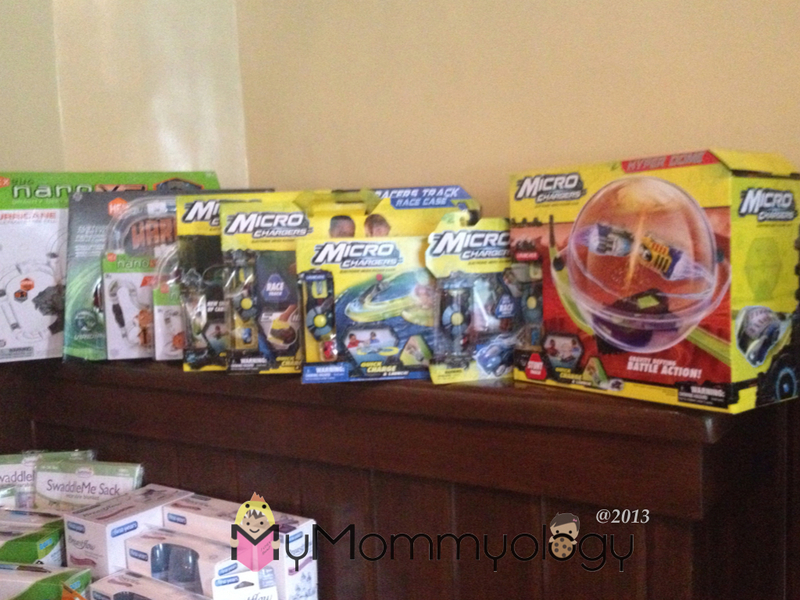 Some of them are our personal favorites (and we buy these toys and things for the kids that we give to! ): Lalaloopsy, Summer Infant, Leap Frog, Little Tikes, Winnie the Pooh, the Sylvanian Families, Hello Kitty, PinyPon and Graco to name a few. Some other crafty things for girls like Blingles and Gelarti were also part of their list. There are also the boys’ toys like Ben Ten, Ban Dai, Micro Chargers, Hex Bugs and most recently, the Power Rangers. A main avenue for these toys would be in ToyTown, with three branches located around the Metro. The boys’ toys. Purty cool! 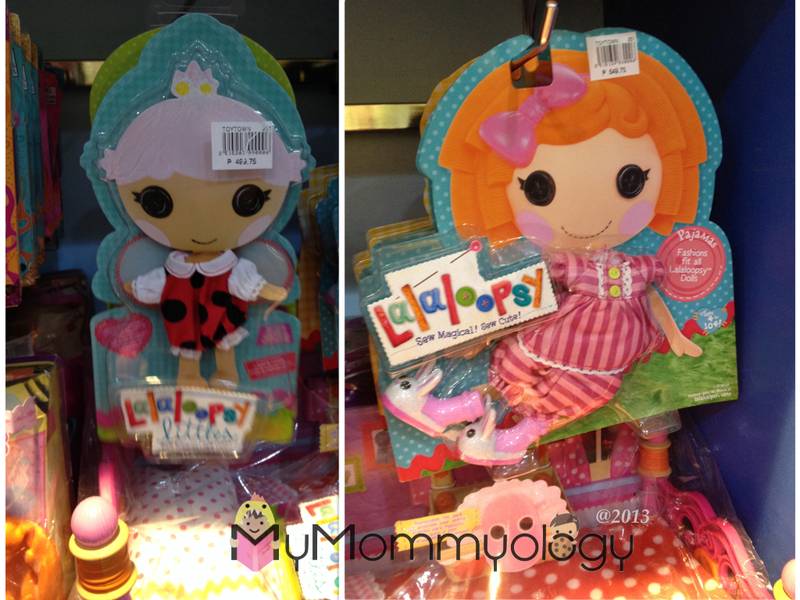 The more I learned about Lalaloopsy and the rationale behind the brand, the more I liked it. It didn’t matter that the dolls don’t really stand on their own; it’s all part of the imaginative pretend play! And you can do so much with them. I’m so glad that they released different clothes that are sold separately from the dolls because that’s one thing my girls love to do: dress each one up and mix and match their things! During the lunch, we got a sneak peek at some of the new things that were going to hit the stores. 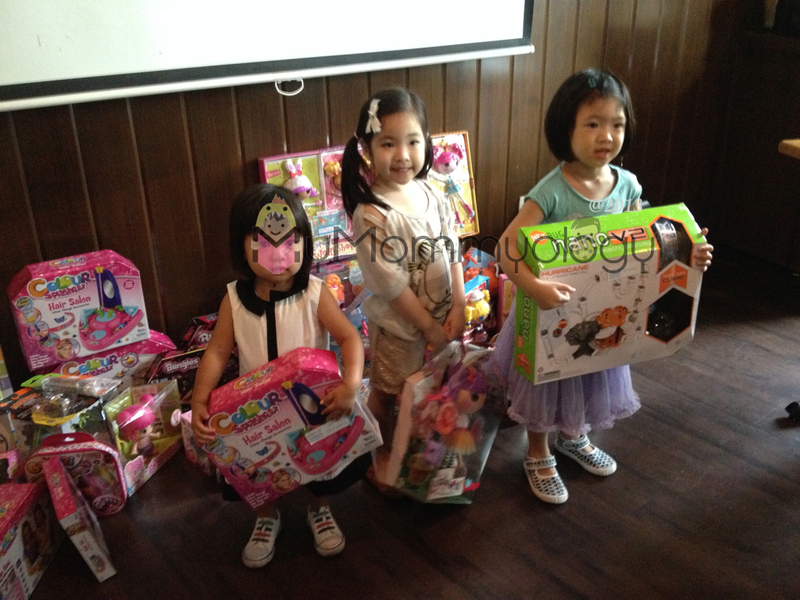 You can imagine how thrilled my girls were with everything in front of them! It was hard to tear them away and they kept asking if we could buy and bring it home. Luckily, Jamie won one of them Color Splasherz and that appeased them (temporarily). The prize was so cute, we gave it out as a gift as well! But the best surprise of all was when Peanut Big Top walked into the room. She came and gave everyone a big hug! She even took pictures with the kids. My girls were starstruck! They wanted to take her home too! It’s Peanut Big Top! Oh happy day! Bankee carries all sorts of brands, for kids of all ages, and there’s always something great about each brand. It’s the easiest way to complete my Christmas list!